In addition to heating, you can also heat your water with electricity. There is the central and decentralized hot water preparation as a possibility. As devices for hot water preparation serve an electric hot water tank or an electric water heater. You can not only heat your home with electricity using an electric heater, but also generate your hot water. In hot water preparation, the number of people, their age and the habits of use is crucial. The hot water preparation with electricity offers two types of supply: central hot water preparation and decentralized hot water preparation. The central hot water preparation is characterized by the fact that there is only one storage tank for the hot water. From this, the hot water is conveyed through pipes to the various points in the house. The central storage heats and stores the hot water until it is consumed. For example, you can take over this heating of a solar thermal system, but also an electric water heater or a heat pump are suitable. Due to the longer transport routes in the house, additional energy is needed to distribute the hot water in the central hot water preparation. A thermal insulation of the pipes is also necessary, so that not so much heat is lost in transit. Subsequent installation is complex and expensive. In contrast to the central hot water preparation, the decentralized hot water preparation is more economical, since only there a smaller storage must be set up where it is needed. The transport routes are shorter and thus the heat loss is lower. Also, the water consumption is lower because less water must circulate in the pipes. Since you only have to install a small storage tank or instantaneous water heater for the decentralized hot water preparation, for example in the bathroom and kitchen, the subsequent installation is easier to implement because no long pipe systems have to be installed in the house. Efficiency depends on the conditions! A central hot water supply is useful if all hot water supply points are fed from a hot water source. If the extraction points are located far apart from each other, too much heat loss can occur with a central hot water supply. Decentralized solutions with instantaneous water heaters are more efficient here. For individual outlets, where only a little hot water is needed, a mini water heater is sufficient as a hot water generator. In general, devices that produce hot water with electricity are suitable for centralized, decentralized and group supply, where several, but not all, domestic hotspots are attached to one device. Above all, our efficient instantaneous water heaters with electronic control are compared to other models only via a hydraulic control. 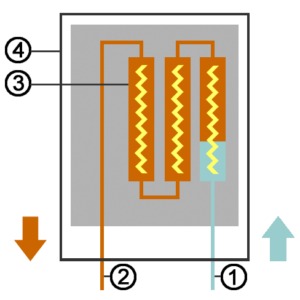 There are two basic principles for generating hot water with electricity: the storage and instantaneous water heater principle. In the electric hot water tank, water is stored and usually kept constant at a predetermined temperature. If the water is needed, it is immediately available. However, this only applies as long as the storage tank still contains enough warmed-up water. With the water heater, however, only hot water is generated with electricity when it is needed. This can be more appropriate if the hot water is used decentralized at a sampling point and not regularly in large quantities. The electric instantaneous water heater is best suited for decentralized hot water production and can therefore be installed in any room where it is needed. Due to the high level of comfort and good efficiency, the electric instantaneous water heater is popular. The electric instantaneous water heater is the device with the highest level of comfort for decentralized hot water preparation. In the bathroom, where most of the taps are for hot water, you only need one electric instantaneous water heater to supply them: Group supply. Above all, a fuse protects the young members of the family from scalding, for example by limiting the maximum temperature of the appliance to 45 ° C, thus preventing the children from accidentally turning on very hot water and burning themselves. In contrast to the hydraulic instantaneous water heater, where the temperature control is very inaccurate. With the electric instantaneous water heater, cold water does not need to be mixed to reach the desired temperature. The control is infinitely possible. 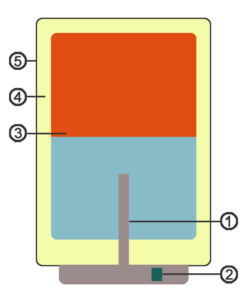 The cold water is heated in a heating block by electricity to the set temperature and not unnecessarily hot, then to cool it with cold water again. The hot water is then released through the process to the individual consumers. The disadvantage of an electric instantaneous water heater compared to a hot water tank is that the water can not be stored and is always heated when needed. It may take a while for the desired temperature to flow out of the tap. The electric instantaneous water heater usually has a capacity of 0.4 liters and can have between 11 kW and 27 kW rated output. Many instantaneous water heaters have a digital temperature display and can be mounted on the table top or under table. The weight of the electric water heater is between 3 kg and 5 kg. Warm water is natural in this country – whether at home or in public facilities. The warm water can be provided in addition to a memory via a decentralized instantaneous water heater. So that the water heater does not become a power guzzler, it should be carefully considered which model is suitable. With a decentralized solution and a small instantaneous water heater, many sinks can save a lot of electricity and thus money. Like an electronic instantaneous water heater in general, a small-flow heater also ensures the hot water supply directly at the washbasin – ie at a single tap. The principle is the same and is based on heating by electrical energy. While the cold water flows through the mini instantaneous water heater, the water heats up within seconds. A preheating or holding of hot water like a small storage tank (boiler) does not take place in the mini instantaneous water heater. The small instantaneous water heater is usually a small and compact device with an output of 3.5 to 6.5 kW. It can be installed anywhere, as long as cold water and electricity are available. Even with small sinks, the mini instantaneous water heater is an inconspicuous undercounter solution. Compared to the normal instantaneous water heater, the small instantaneous water heaters have the advantage that they can be placed unobtrusively under the smallest sink due to their size. Mostly they are used in kitchen or bath. Due to their lower electrical output, the electric heaters achieve lower warm water output compared to small storage tanks. However, often only small amounts of high temperature water are needed. For example, in the guest toilet – here the small water heater is ideal. The flow rate is dosed sparingly in a small flow heater. And because no heated amounts of water are stored in a storage tank, the small instantaneous water heater does not have standby energy consumption. Even with respect to a central Wasserversorgun a mini water heater can be beneficial. For example, if the supply line is 10 meters long, approximately 3 liters of water will run unused into the drain at the central supply before the desired warm water is available. 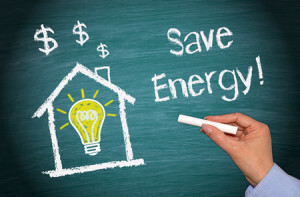 In the right place, therefore, a small water heater is an energy-saving solution. The electric hot water tank can be used as a device for central hot water preparation and also for decentralized hot water preparation. However, the size of the electric hot water tank differs depending on the type of supply used. Depending on the required amount of hot water and the storage capacity for the central hot water preparation is more extensive: 5 liters to 120 liters. Since only one electric hot water tank supplies the entire house in the central hot water preparation, it is also correspondingly larger: at least 150 liters. If the hot water is heated with solar collectors, a storage with a minimum size of 250 liters is necessary. These storage tanks with only a limited capacity between 5 liters and 10 liters are called small storage. These devices can easily be mounted under the sink or in the sink cabinet. In the electric water heaters is located in a metal tube, a heating element, which consists of a heat conductor (resistance wire). In addition, the sensor tube for temperature control is installed. You can set this temperature outside of the memory. These two elements are housed in a plastic, copper or (galvanized) stainless steel tray. Two lines lead from the electric hot water tank, once for the supply and one for the discharge. Cold water is supplied and warm water is returned to the destination. Most stores have good thermal insulation to keep the heated water hot as long as possible. The safety of our hot water heaters and tanks is guaranteed by strict compliance with the applicable safety regulations. This is certified by the TÜV certificate and the GS certification mark. The construction of the heating elements ensures 100% electrical safety with correct commissioning in accordance with the applicable standards. The insulation and the casing of our hot water heaters and tanks offer safe protection. Each product is also equipped with safety sensors that protect the water from overheating or the tank and pipes form overpressure. 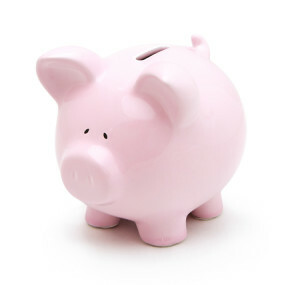 The decentralized hot water supply is more economical as the pipes are shorter and therefore the losses are lower. The installation of a decentralized hot water preparation is easier to implement. An electric instantaneous water heater provides efficient, efficient and efficient supply of hot water. The maximum temperature can be limited to protect children from possible scalding.